Booker Prize-winning author Salman Rushdie combines a ferociously witty family saga with a surreally imagined and sometimes blasphemous chronicle of modern India and flavors the mixture with peppery soliloquies on art, ethnicity, religious fanaticism, and the terrifying power of love. 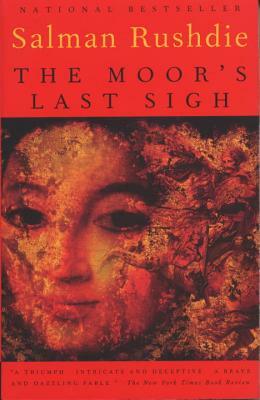 Moraes "Moor" Zogoiby, the last surviving scion of a dynasty of Cochinese spice merchants and crime lords, is also a compulsive storyteller and an exile. As he travels a route that takes him from India to Spain, he leaves behind a tale of mad passions and volcanic family hatreds, of titanic matriarchs and their mesmerized offspring, of premature deaths and curses that strike beyond the grave. Salman Rushdie is the author of nine books, including Shame, Midnight's Children, East, West, and The Satanic Verses. In 1993 Midnight's Children was adjudged The Booker of Bookers.